Authers: Harshal Dholke, D V Narsimha Rao, Ann Campos, C Naresh Kumar Reddy. Department of Neuroanaesthesia and Critical Care, Krishna Institute Of Medical Sciences, Secundrabad, India. Department of Anaesthesia and Critical Care, Krishna Institute Of Medical Sciences, Secundrabad, India . Four year old child with normal developmental milestones and a history of refractory seizures managed by antiepileptic’s underwent craniotomy with contact grid placement with postoperative localization of ictal focus and further removal of epileptic focus during second surgery. 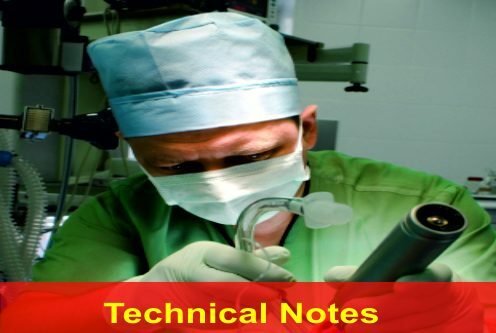 The patient received phenytoin as surgical prophylaxis during second sequential surgery, after which he went into spontaneous sinus arrest following the recommended dose. He was successfully reverted to sinus rhythm after 5 cycles of resuscitation as per ACLS guidelines. Following surgery there was 90% reduction of abnormal EEG activity. Post-operatively, phenytoin was omitted from the drug list. The child was free of seizures for the next five days, thereafter again he had right focal seizures which went on to status epilepticus, for which he was mechanically ventilated with the background infusion of midazolam and ketamine. After two days of ventilator support he was extubated following which he was seizure free and was discharged on the sixth day. Keywords: Antiepileptics, eloquent cortex, phenytoin, bradycardia, propylene glycol, Naranjo scale. In many cases of resistant epilepsy, invasive techniques remain important because of discordant or poorly defined results from noninvasive testing or close proximity of the epileptogenic zone to eloquent cortex . Grids are inserted by way of open craniotomy. The implanted grid will remain in place until they are surgically removed during a second surgery. The goal of the second surgery is to remove the electrode grids with removal of seizure focus [2,3]. .Anti-epileptic drug (AED) prophylaxis is commonly instituted for the management of patients with brain surgeries as certain sub-groups of patients have been shown to have beneficial effects on postoperative seizure control. Hence, prophylactic anticonvulsants are given as routine for suppression of postoperative seizures . These drugs include the drug which the patient is already taking or a loading dose of a new drug. Phenytoin has been studied extensively for the same reason. Compared to placebo, the drug phenytoin (PHY) has been reported to be significantly more effective in preventing post traumatic seizures during the first 7 days . 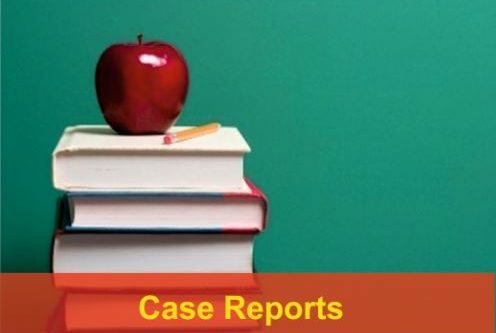 A four year old male child with normal developmental milestones presented with a history of seizures from the age of one year accompanied with left lower limb weakness. He was managed by three antiepileptic drugs for a period of two years when he had no seizures. Later after two years, the seizure frequency increased to 4-5 per week and at least one every alternate day. 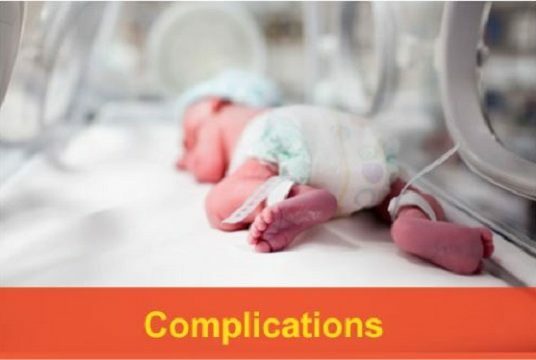 The child was admitted in the hospital and was evaluated by the neurological team and the diagnosis of refractory frontal lobe epilepsy was made. Further, it was decided to subject the child to right fronto-temporo-parietal craniotomy. After thorough evaluation, it was planned to place 64+8+8+8+8+4 contact grid on the superior and lateral frontal lobe, motor area, orbitofrontal, inter hemispheric, cingulated depth and temporal lobe. During the surgery, right fronto-temporo-parietal (FTP) craniotomy and grid placement was done. Once the grids were placed during the first surgery, he received Inj Levetiracetam 50mg/kg as seizure prophylaxis at the end of surgery. After localization of the ictal zone, the child underwent second surgery with excision of right prefrontal and dorsolateral frontal cortex, anterior cingulated gyrus, paracentral lobule anterior temporal lobe and anterior hippocampus. Once this resection was done he received Inj Phenytoin 20mg/kg with Inj Levetiracetam 50mg/kg as seizure prophylaxis. Following the recommended dose of phenytoin he went into severe bradycardia with sinus arrest, and was resuscitated after five cycles of CPR as per ACLS guidelines. After return of spontaneous circulation the patient was not extubated, and shifted to neurosurgical intensive care unit. He was successfully extubated the next day and was seizure free for 5 days. After five days he had right focal seizures going in to status epilepticus for which he was ventilated under the background infusion of midazolam and ketamine. Later both the drugs were tapered off in the next 48 hrs, and he was extubated. He was seizure free for next 5 days with persisting left lower limb weakness. He was then discharged on the sixth day. While seizure prevention in at-risk patients undergoing surgery seems logical at face value, this reasoning presupposes that the possibility of an adverse drug reaction from the AED is lower than the probability of harm from a seizure . Although, surgery is meant to eradicate seizures, it is not uncommon to have seizures in the early post-operative period so these seizures should be managed by optimizing the antiepileptic drug levels, however these early seizures has no implications in the long term outcome . There are no formal guidelines for seizure prophylaxis after neurosurgery in general. The Brain Trauma Foundation, American Association of Neurological Surgeons, Joints Section on Neurotrauma and Critical Care, have guidelines on the role of seizure prophylaxis, this include a treatment option of giving phenytoin or carbamazepine to prevent seizures in high risk patients during the first week after surgery . These guidelines state that tapering and discontinuing anticonvulsants after the first postoperative week is appropriate in patients who have not had a seizure. The studies reviewed on prophylaxis for seizures following neurosurgery are consistent with the above guidelines and suggest similar practices are appropriate for seizure prophylaxis after supratentorial craniotomy for a variety of reasons [8,9]. With the use of phenytoin, there is always an unpredictable risk of cardiac toxicity which has been described in some previous studies: Yorc RC, Coliridge S T  studied two patients, aged 44 and 68 years. Both patients had laboratory- proven sub therapeutic anticonvulsant serum levels. The patients differed with regard to risk; one patient had existing cardiopulmonary disease, and the other was free of such risk factors except liver disease. An apparently appropriate dose of intravenous phenytoin was initiated in each case, and the patients were monitored appropriately and given supplemental oxygen. Bradycardia, hypotension, respiratory distress, and, ultimately, cardiopulmonary arrest occurred in both . 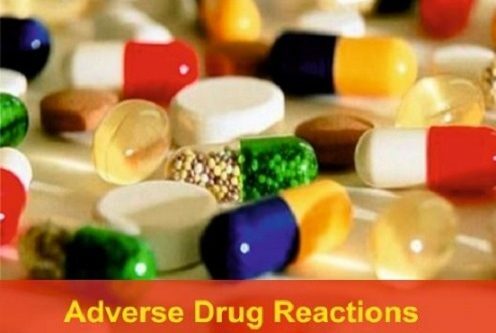 Side effects associated with parenteral phenytoin are caused primarily by its high pH level and the propylene glycol or ethanol content needed to increase its solubility . Intravenous administration of phenytoin causes burning at the infusion site and can be associated with severe local cutaneous reactions following infiltration into surrounding tissue, leading to a recommendation that intravenous phenytoin be avoided in young children and the elderly. The propylene glycol solvent was linked to seizures, arrhythmia, asystole, and hepatic and renal damage . The acute cardiovascular toxicity seen with intravenous phenytoin infusion has frequently been ascribed to its diluent. The vehicle for the most widely used parenteral formulation of phenytoin is 40% propylene glycol and 10% ethanol, adjusted to a pH of 12 with sodium hydroxide . The glycol component has been shown to cause coma, seizures, circulatory collapse, ventricular arrhythmias, cardiac nodal depression, and hypotension in humans and animals. Propylene glycol is a strong myocardial depressant and vasodilator and increases vagal tone. Other toxic effects of propylene glycol include hyper osmolality, hemolysis, and lactate-associated metabolic acidosis. Louis et al. compared the acute toxicities of intravenous phenytoin and propylene glycol both alone and in combination . In a feline model, phenytoin alone did not cause significant cardiovascular effects, and instead partially reversed the toxic effects that occurred when propylene glycol was given. Acute toxic effects of propylene glycol are also strongly related to rate of infusion. This is further evidence for its etiologic role in intravenous phenytoin toxicity, a phenomenon which is almost always related to infusion rate. The ethanol intravenous diluent fraction may precipitate a reaction in patients taking disulfiram . The limitations of the parenteral form of phenytoin (incomplete aqueous solubility, irritating nature of the vehicle, and tendency to precipitate in intravenous solutions) have prompted a search for a more suitable preparation. Recently, pro drugs of phenytoin have been synthesized that are more soluble and less irritating to the tissues. These agents are presently being field tested and may become the standard of care in future. All clinicians should be aware of the serious side effects of phenytoin including its potential to cause sinus arrest in patients who are put on either oral or intravenous route. Due to this side effect profile, it is recommended to have continuous monitoring of blood pressure and pulse every 15 minutes in patients who are started on phenytoin [14,15]. A baseline electrocardiograph should be obtained for all patients before initiating phenytoin. Also for at risk patients, a baseline echocardiography is suggested. The Naranjo scale, which is an adverse drug reaction (ADR) probability scale utilizing a set of questionnaires to assess drug-related adverse events, this can be implemented by physicians in routine practice to determine whether the cause of the effect is related to a particular drug . 1. Arroyo S, Lesser RP, Awad IA, et al. Subdural and epidural grids and strips. In: Engel J Jr, ed. Surgical treatment of the epilepsies, 2nd ed. New York: Raven Press, 1993:377–386. 2. Wyler AR. Subdural strip electrodes in surgery of epilepsy. In: Lüders H, ed. Epilepsy surgery. New York: Raven Press, 1991:395–398. 3. Wyler AR, Walker G, Somes G. The morbidity of long-term seizure monitoring using subdural strip electrodes. J Neurosurg 1991;74: 734–737. 4. Klimek M, Dammers R: Antiepileptic drug therapy in the perioperative course of neurosurgical patients. Curr Opin Anaesthesiol 2010;23(5):564-567. 5. Temkin NR, Dikmen SS, Wilensky AJ, Keihm J, Chabal S, Winn HR: A randomized, double-blind study of phenytoin for the prevention of post-traumatic seizures. N Engl J Med 1990;323(8):497-502. 7. Andrews B T. Intensive Care in Neurosurgery, 1st Edition. Thieme Medical Publishers 2002; 194. 8. Review: The Brain Trauma Foundation. The American Association of Neurological Surgeons.The Joint Section on Neurotrauma and Critical Care. Role of antiseizure prophylaxis following head injury. J Neurotrauma. 2000; 17(6-7):549-53. 9. Temkin N R .Prophylactic Anticonvulsants After Neurosurgery Epilepsy Curr. 2002; 2(4): 105–107. 10. York RC, Coleridge ST. Cardiopulmonary arrest following intravenous phenytoin loading. Emerg Med 1988;6:255-9. 11. Wheless JW. Pediatric use of intravenous and intramuscular phenytoin: lessons learned. J Child Neurol. 1998;13(1):S11-4; discussion S30-2. 13. Louis S, Kutt H, McDowell F. The cardiocirculatory changes caused by intravenous dilantin and its solvent. Am Heart J 1974;74:523. 14. Parsai S, Hariri I, Taleb M, Yoon Y. A Literature Review Revisiting Phenytoin-Induced Sinus Arrest. Am J Ther. 2014. 15. Thimmisetty R K, Gorthi J R, and Hazeem M A. Oral Phenytoin Toxicity Causing Sinus Arrest: A Case Report. 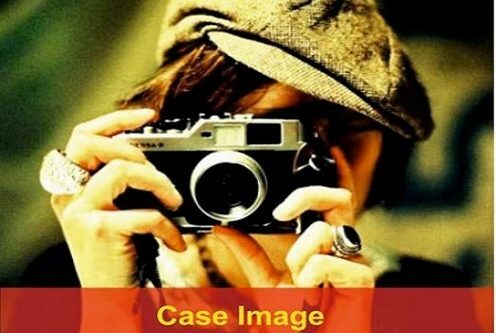 Case Reports in Cardiology. 2014 (2014). How to Cite this Article: Dholke H, Rao D V N, Campos A, Reddy C N K. Spontaneous Sinus Arrest Following Intravenous Phenytoin For Post- Operative Seizure Prophalaxis. 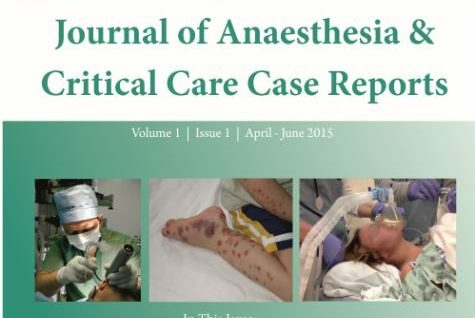 Journal of Anaesthesia and Critical Care Case Reports Oct-Dec 2015; 1(2):14-16.